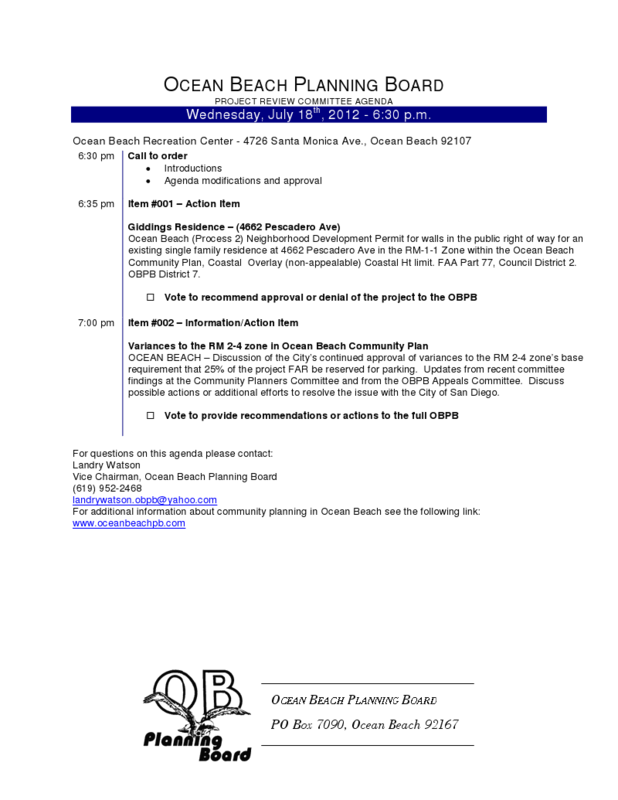 Here is the agenda for the Ocean Beach Planning Board meeting to be held on Wednesday, July 18th. The Board meets at the OB Recreation Center, 4726 Santa Monica Avenue, at 6:30 pm sharp. This is actually a meeting of the full Board’s sub-committee, the Project Review Committee – which hears projects and then makes recommendations to the entire Board when it meets the first Wednesday of the month – August 1, 2012. 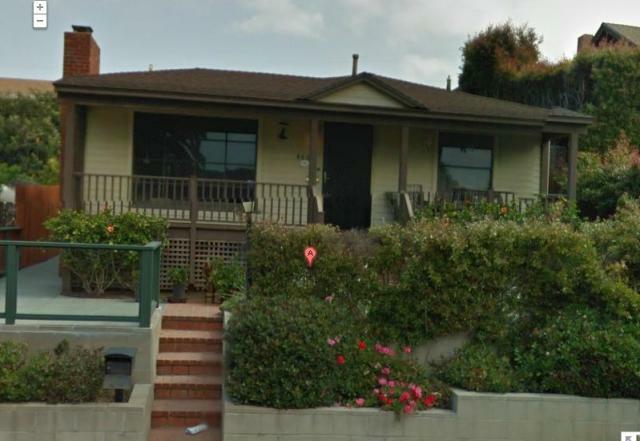 Giddings residence, 4662 Pescadero Ave. The second item is a discussion of a continuing issue that has been of concern for the Planners; the City’s continued granting of variances that allow property owners to circumvent the requirements of the Ocean Beach Precise Plan. I own a 1955-56 San Diego City Schools directory which shows the Giddings family residing on Whittier Street, just off Rosecrans St. I was at PLHS 1971-74. During my sophomore (first) year, one of the varsity cheerleaders was named Gail Giddings, whom many assumed was Donald Giddings’ daughter. Later on I learned this was not true. Mr Giddings had moved to Patrick Henry HS, as founding principal, three years earlier, but if you’d grown up in Point Loma, you at least knew of Mr Giddings—I knew who he was as a grade schooler, without older sibs in high school. Gail Giddings attended Dana, and I believe Pescadero St in those days was zoned to Dana—I had a friend a block over on Bermuda who attended Dana. So possibly this house is in Gail’s family. It’s possible they are related to the Donald Giddings family, but it does not appear to have been Principal Giddings’ home, plus there was at least one additional Giddings family in PL.